Today was the first day of my Spanish course in Costa Adeje. It has been a great start to my holiday! Lessons usually start at 9am, but today we were asked to arrive 15 minutes early so we could register and collect our books before lessons began. Last week, I took the school’s on-line level test. This unsurprisingly determined that I had an A1 (beginner) level of Spanish. Having worked at Apple Language Courses for over 10 years, I am more than a little embarrassed to say that my knowledge of the Spanish language is fairly limited! 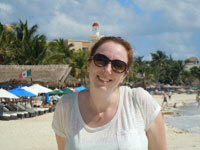 Like many of our students, I studied Spanish at school (a few more years ago than I like to think!) and have taken evening classes since then, but other than that my language practice has been limited to holidays in Spain and my skills are rather rusty. Many of our students are keen to combine their language course with a much needed holiday and our school in Costa Adeje will allow you to do just that! Your Spanish lessons will usually take place in the mornings, leaving you plenty of time to relax on the beach, get involved in some exciting water-sports, or even hike some of the island’s spectacularly rugged terrain. 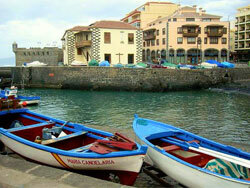 I’m really looking forward to summer in the Canary Islands and the long sunny days and the warm nights! I love to spend my time on the beach (sunbathing, swimming and surfing during the day and going out at night), but after some weeks doing the same thing, it becomes repetitive and I feel like doing something else. 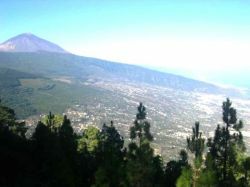 I feel like doing something different, and guess what, in Tenerife there are lots of things to do in summer! Where to go surfing in Tenerife! I’ve lived in Tenerife all my life. 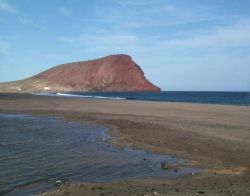 Tenerife has some world famous beaches. However, listen closely as I’m going to tell you about other beaches…you know…the ones you may not be so familiar with! These are the beaches on the north of the island – they’re very different to the beaches in the south, which are busy with tourists. Yes, I am going to tell you about the beaches with real black sand, the ones that are off the beaten track, and are much more worth a visit, especially if you like surfing!